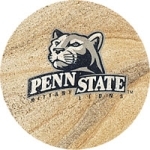 Penn State vs. MiamiThe 1987 Fiesta Bowl pitted two undefeated teams, the #2 ranked Penn State and the #1 ranked Miami, in a contest dubbed The Game of the Century. 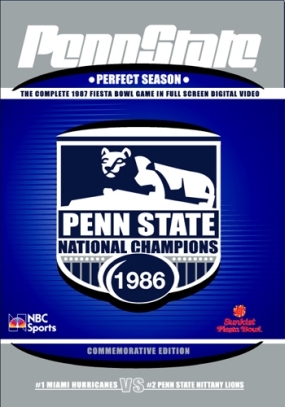 This DVD contains the complete 1987 Fiesta Bowl game, with coverage from NBC Sports, without commercial interruption, in full screen digital video. 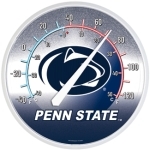 Chapter points allow you to jump to the action quarter-by-quarter, as Joe Paterno's Nittany Lions win their second National Championship in five years, capping a perfect 12-0 season.